Avicii, one of the world's most successful DJs who helped usher in the global boom in electronic music but struggled to cope with the hard-partying lifestyle, died Friday in Oman, his representative said. He was 28. Two years after his unusually early retirement from touring, the Swedish DJ was found dead in the Gulf sultanate's capital Muscat. “It is with profound sorrow that we announce the loss of Tim Bergling, also known as Avicii,” his management said in a statement, without specifying the cause of death. Maitrai Joshi, a DJ at the Muscat Hills Resort, said he spotted Avicii and understood the dance superstar was on vacation in Oman for the first time and had extended his stay. “I saw him again the next day and again he was friendly, humble and took some photos,”Joshi told AFP by email. Avicii was among the first DJs to break through in the mainstream as electronic dance music grew over the past decade from nightclubs to Top 40 radio. He created a global hit out of Coldplay's “A Sky Full of Stars,”to which he added a layer of energetic electronica. His biggest individual hits included “Wake Me Up,”which went to number one across Europe in 2013 and featured the soul singer Aloe Blacc. While the death came as a shock, Avicii has spoken publicly in recent years about his health problems, including pancreatitis, triggered in part by excessive drinking. The condition forced him to cancel shows in 2014 as he had to have his gallbladder and appendix removed. In 2016, Avicii stunned fans by retiring from touring when he was just 26, saying that he wanted to leave the high-flying electronic music lifestyle. “The scene was not for me,” he told music magazine Billboard after his decision. “It was not the shows and not the music. It was always the other stuff surrounding it that never came naturally to me. All the other parts of being an artist,” he added. Avicii later returned to the more quiet life of a studio artist. Last year, he put out a six-song EP that featured British pop singer Rita Ora. 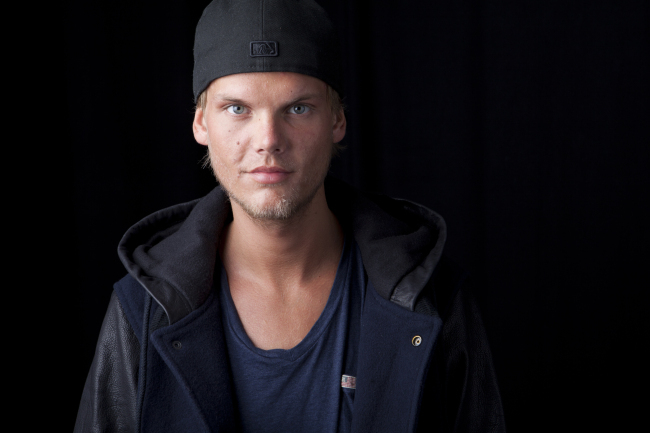 The son of Anki Liden, a prominent Swedish actress, Avicii had his start uploading tracks on the internet and was discovered by Dutch superstar Tiesto, who invited him to play at his residency in the clubbing hub of Ibiza. His breakthrough single, “Levels,”adapted a sample of soul singer Etta James and earned him one of his two Grammy nominations. He took his stage name from the Sanskrit word for the lowest level of hell in Buddhism, adding an additional “i”at the end. In 2014, he was tied with Tiesto as the third top-grossing DJ in the world on the list of Forbes magazine, which estimated his earnings for the year at $28 million. “Avicii was a genius and a music innovator, and I cannot believe he is no longer with us. RIP to the very best,” Puth wrote on Twitter. “Banter aside, nobody can deny what he has accomplished and done for modern dance music and I'm very proud of him,”Deadmau5 tweeted. Electronic producer Diplo on Instagram called Avicii “the gold standard” in setting musical trends.